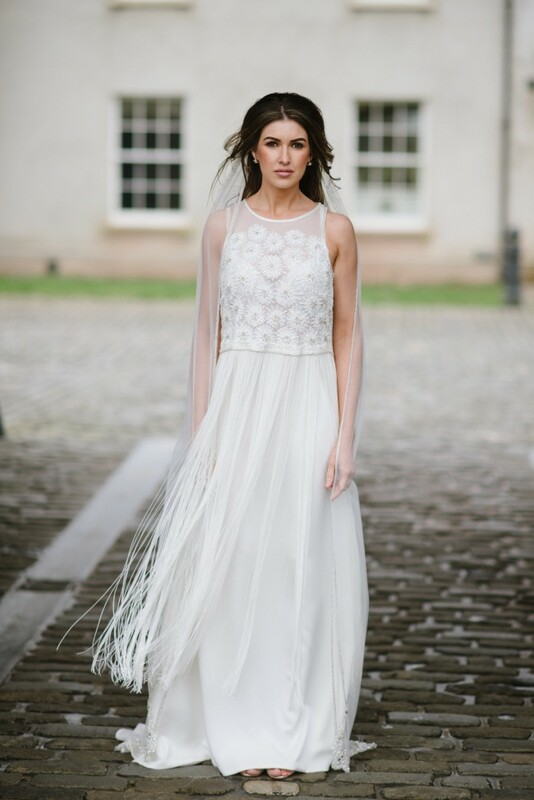 Hi , I am the owner of a designer bridal boutique based in Ireland. We are selling some of samples from the boutique, none of which have been worn at a wedding or altered. All the dresses have only been tried on in store. The Dress: 2 Piece: Trieste Satin skirt. Top with silvermoon beading and fringe detail. Fabulously unique 1920's inspired wedding gown. Sample in exceptional condition. A truly fun, special gown. Import duty and local taxes would be payable by the buyer.